Kira Nerys had a terrible life. To be more accurate, I should say that she will have a terrible life, as she isn’t born for another three hundred years or so. She isn’t even human. She’s a Bajoran, from the planet of Bajor. About three years ago, when my husband and I found that carving out two hours for a movie wasn’t working very often with his law school schedule, we started putting TV shows into our Netflix queue. We could manage 45 minutes or so for an episode, and he chose to start me on a TV series that had been completely off of my radar—Deep Space Nine. Apparently, DS9 was off a lot of people’s radar, though I don’t know why. This series has some of the best story crafting I’ve ever seen in television, movies, or even books. I could use episodes to teach writing courses. But back to Kira. That’s Major (and in the last season, Colonel) Kira, as the Bajorans use the family name first. She is an attractive, smart, and self-confident humanoid female, who, as one character puts it succinctly, never doubts herself. One would think that Maj. Kira grew up in a comfortable, secure family. She didn’t. She grew up in a refugee camp and joined the resistance movement at a very young age. She planne d and executed attacks on her enemies when she should have been going to proms, if future young females go to the prom. Her planet had been taken over by a race called the Cardassians, who were pretty nasty. OK, they were downright vicious, cruel, and probably learned a few things about treating the conquered from Hitler’s concentration camps and then improved upon the techniques. Kira faced death every day of her life. She watched loved ones and friends die. When the occupation ended, thanks to the Federation, she still faced—faces—death daily, as the world isn’t all love and peace. No, new enemies have appeared. But this isn’t a synopsis of the seven season long TV series. You can watch it for yourself (click here or here). It’s worth the first couple of seasons that have some clunkers and bad acting, as it just gets better. This is about Kira and life and what I have learned about mine from watching her. Kira is a victim. She suffers through no fault of her own—most of the time. Most of us can’t even imagine living such a terrible life and not coming out so emotionally scarred we are useless. Yet I believe if anyone called Kira a victim, that person would find himself picking himself up off the floor after she knocked him down for being so insulting. Because Kira doesn’t play the role of a victim. She plays the role of a heroine. She doesn’t let any of the terrible things that happen to her, from losing her family, to losing the first man she loves, to friends and colleagues, to the life she should have had, keep her from going forward and achieving what she wants—peace, security, and prosperity for her people. Ziyal: When I look at my father, I have a hard time seeing a murder. Kira: And when I look at him, I have a hard time seeing anything else. Dukat: "The man is a heartless, cold-blooded killer." Kira: "Like I said, he's a Cardassian." Yet she learns. She learns not all Cardassians are evil, some were courageous and honorable. She learns love comes in many forms. She learns sometimes a person has to give up a fight to win. I could probably stop right there and you all would figure out what I’m saying. But because Gina gave me a lot more of a word count, I’ll use it. Life isn’t easy for most of us. I don’t have a dramatic and heart-rending story like Wenda’s beautiful true tale she shared weeks ago that still makes me cry when I think about it. Yet I have had some bad things happen to me, things that others would say make me a victim, from getting into an abusive relationship with no way out for far too long, to contracting uncontrollable glaucoma, to losing my best friend to a brain tumor when I needed her most. And we won’t even get into the issues of longing to be a published author. I’ve shared my nightmare story about my first agent at www.jessicanelson7590.blogspot.com so won’t go into that again. Let us suffice it to say here that she told me I had no talent and should give up, that my latest idea wouldn’t sell. She was wrong. It did sell and won the National Reader’s Choice Award for best Regency that year. Meh! OK, I’ll stop being childish and get back to serious business. Many times, if we imagine Kira’s life before the Federation came in to help, I’ll bet she was told she couldn’t do what she finally did. It happens to her during the show, too. Circumstances and naysayers try to hold her back—and fail. Kira keeps going in the direction to which she feels led. A little tidbit I haven’t yet mentioned is that Kira has a deep faith. The writers of Deep Space Nine gave the Bajorans a religion that is deeply spiritual and mystical. Faith in “The Prophets” keeps her going when doing so seems impossible. It sustains her through heartache and gives her joy. If Kira didn’t have this faith, I doubt she would have the strength and self-assurance that she demonstrates during the series and in flashbacks to her previous life. She even says so when someone asks her, in an episode where the word Faith is in the title. When I was going through the worst times in my life, I didn’t have faith. I had left God behind for various reasons that led me down a victim mentality path. Through God’s grace and many prayers for me, I have no doubt, I found my faith and began the climb out of the pit. The less I let what others thought, said, did hold me back, the further along I advanced. As Kira has the strength to carry out seemingly impossible missions with the strength and reassurance that “The Prophets” are with her, so I began to realize that God loved me, was with me, and had an absolute purpose for my life. Although I would like to, I can’t say that I have Kira’s absolute self-assurance or even her depth of complete trust in God—God as she sees Him. Yet little by little, step by step, God has sustained me, bringing me forward and closer to Him. A year ago, when I daily cried out to Him: “If you don’t want me to be a writer after all, then please show me what you do want me to do,” tested my belief in His plan for my life. I thought I’d been given the green light when I sold my first two books and won the National Readers Choice Award. But twenty months passed with not merely rejections, but a couple of ones that could have shoved me into the victim category, they were so…unpleasant. I heard that former agent telling me I had no talent and couldn’t write. But I kept asking, praying, and believing that God had…something for me. By July, I had sold eleven books, three to Barbour, four to Avalon, and four to Revell. Although I’m not fighting horrors like the Jem H’dar, as Kira has to do, or even dealing with intergalactic politics, as she is often compelled to do, I have found myself in a maze of deadlines, promotions, and edits, living in a city that often feels like a foreign country to me. Like Kira, I’d rather be a winner, not a victim, sustained by my faith. 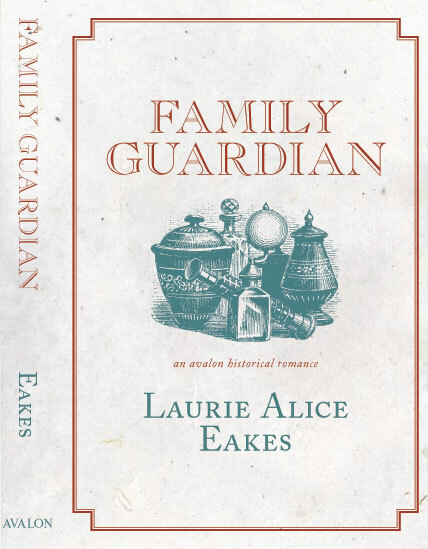 Award-winning author Laurie Alice Eakes does not remember a time when books did not play a part in her life; thus, no one was surprised when she decided to be a writer. 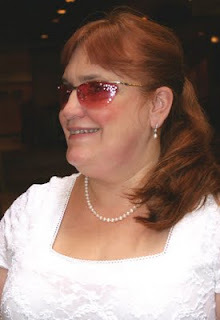 She is an active member of RWA and ACFW, and started the Avalon Authors group blog. A graduate of the Seton Hill University Master of Arts Degree in Writing Popular Fiction, And a Bachelor of Arts graduate in English and French from Asbury College, she is an experienced speaker, and has made presentations at local and national RWA conferences, as well as local universities and libraries. Until recently, she lived in Northern Virginia, then her husband’s law career took them and their dogs and cats, to Southern Texas, where she writes full-time and enjoys the beach whenever possible. Check out her blog, Seize the Chance. Lily is tired of her one-horse town. 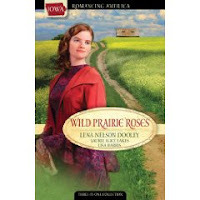 Lily Reese can't wait to escape Browning City, Iowa. She's sure she'll be happier in the big city, if only she can save enough money to get there. But then Ben Purcell rides into town, threatening not only Lily's place of residence and growing sense of family, but her safety and peace of mind, as well. And Ben has every intention of sticking around and becoming a small-town guy. How can Lily even consider the feelings he evokes in her? Rumors of a long-lost cache of gold bring danger swirling around them, but Lily and Ben find themselves on a quest for something more. Will releasing their plans and desires bring heartache or a reward they had never imagined? Better Than Gold can be purchased here or here. Colin Grassick travels from Edinburgh, Scotland, to Salem County, New Jersey, in 1809 in order to become the master glassblower at the glassworks being established there. He loves his work and yearns for enough success to have the money to bring his mother and siblings to America for a better life. But when he falls in love with Meg, the beautiful independent-minded daughter of the glassworks owner, Colin's career and life are then in danger. what a wonderful post to begin the day...thank you. Dina will be here later to tell you all about her review of The Glassblower. I think I speak for many of us (we of the writerly persuasion) when I say that as much as I look forward to The Call, my stomach gets queasy thinking about the pressure of eleven books to polish or write in one space of time. Not like you're going to say no, but. . . Awesome post Laurie Alice! I've never watched that show before but the quotes were great. Esp. about faith. So, so true! Laurie Alice, thanks for sharing your amazing journey! South Texas, huh? That's gettin' close to my old stomping ground in Corpus Christi, where my family erected our tent in Pharoah Valley!!! Missin' it just about this time of year. Great post, Laurie Alice. So thought provoking. The victim mentality is so easy to fall into, and yet it saps people of their vitality. It drains everything but rage from a person. So much better to be an overcomer. It's not really the harder path at all, though it seems so at times. Especially at first. We're honored to have you here Laurie Alice! Deb, you made me blush! Hi Laurie! Thanks for visiting us today. I loved your post. It was really fun to read about faith from a Trekkie perspective. And thanks for sharing your journey. I wish I could say I never fell in the victim mentality, but I have. It's a place I hope to never go again. Oh, and I ditto what Deb said. Lisa, Queen of Graphics, you're our hero. Thanks for this post, for many reasons; I won't mention all of them. I LOVE DS9; my husband and I watched them together for the same reason of not having time to watch a movie. The episodes are interesting and so centered on the human condition (thought most of the characters aren't actually human) -- very thought provoking and sometimes even disturbing in a good way. I also really appreciated your post because I too am in the process of trying to figure out what God's will is for me in this stage of my life and if writing is part of it. Thank you for sharing your post! my kindle before anyone else got advanced copies. No, I'm not going to tell you about it. Go read the review. I watched all the Star Trek Voyager series because my college roommate had a crush on Captain Picard. Thanks so much Laurie for the great post and your honesty. Because I too have suffered in my life, it would be easy to claim the victim status. But there are no victims in God's Kingdom! Only victors! I can't wait to finish the Glassblower! Thanks so much for blessing us today, Laurie Alice. What an insightful post. I am always encouraged to learn about authors' writing journeys, and it's nice to know that there's hope! I am a big fan of Star Trek, The Next Generation, so I thoroughly enjoyed reading this today! Lisa, you are a superhero. These headers (and the backgrounds, and all you do for us) are phenomenal. Love it, Laurie Alice! My hubby and I watched DS9 when it was syndicated on Spike, and I was always so inspired by how they gave faith credence--unlike some of the TNG episodes, which stated that those who believed in God were deceiving themselves. Kira was always one of my favorites, for the same reason she's yours. And you're a source of inspiration for me, too. Just ask my husband how many times I say, "Laurie Alice went from no new contracts to a gazillion! Isn't that awesome?" Thank you all for your kind comments. When Gina told me what the theme was, Kira was the first character who popped into my head. Kira is one of the greatest characters developed in a TV series. And I'm rather fond of Worf, too. His voice alone is awesome, but I love the character, too. As encouragement, I have to say that God's timing is perfect. That's hard for us control freaks to understand or accept, but I'm learning. Kira is quickly becoming my favorite DS9 character too. I'm only through season 1, but LOVED Duet. It was so powerful and so well done. I fell in love with the Bajoran people in general when Ensign Ro won her a spot on the Enterprise. Was very sad when they abandoned her. I also really like how the Bajoran faith is such an integral part of the show. My one beef with TNG is that they dismiss religion so easily. Thanks for the great post, Laurie Alice. This is a theme that really resonates with me. We can't always control what happens to us, be we are always in control of the way we respond. The victim mentality is absolutely a choice. Knowing that is truly empowering. Oh, yes, Jennifer, do add it. I never saw Voyager, but my husband tells me that DS9 is far and above Voyager in storycraft and acting. The first season or two have some kind of questionable acting and weak stories, but when it takes off, it goes into warp. So glad to see you here! Since you went to Seton Hill in Greensburg, Pa. (where I grew up)can you share something you learned during that time as you pursued your Master of Arts Degree in Writing Popular Fiction? I watched my first episode of the original Star Trek while on the farm in Gbg. I think that's probably when I first fell in love with the idea of "going where no man has gone before." Jill, I could share forever about what I learned there, and I think the most important part is how to turn a vague idea into a story. It takes a lot of brainstorming and question-asking, the whys and what ifs, and then to outline the book before writing it. I used to have to write four drafts. Now i write one and edit. I used to have a terrible time finishing something because the story didn't work about halfway through or less, and now that's changed. 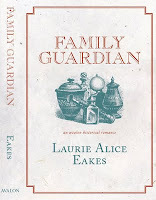 Wonderful post, Laurie Alice! I never saw an episode of DS9, but you've intrigued me. I love how you used the strong character of Kira to illustrate that being a victim is a choice. If Kira can demonstrate such strong faith in the fictional Prophets, how much more should we have faith in the living God? Your life story is a wonderfully inspiring example of how God brings us through adversity and rewards our faith with overflowing blessings. Thanks for the reminder and the uplifting post. Laurie Alice, thankx for letting me know you are guest posting here. I'm impressed with this blog, and, as always, your writing and insight. Not only did I enjoy your post, but you gave ideas for several new article to pre-write for my upcoming blog tour. Thank you, and may God continue to shower you with blessings. Aggie, I'm glad the post inspired you. One thing I know God has called me to do is encourage and inspire other writers. Laurie Alice, thank you so much for posting here with the Inkies. I have to admit DS9 was not my favorite StarTrek show but that was only because I couldn't stand the Ferengi (sp?). They may be been a nice touch to the show but I would rather have seen more of Kiera and Odo. Odo, btw was my first run-in with shapeshifters and he just didn't do it enough to suit me. I'm looking forward to reading your books one day. Thankyou Anita. If I'd seen any of the other Star Trek series, I might not have liked this one so well, though I can't imagine not liking it. It's just scripted and cast so well, pretty uncommon for TV, for me. More Kira would have suited me well, too. She's been a little too much in the background in this seventh season. Only eleven more episodes to go. Sniff. And I have so many books coming out over the next few years, take your pick, from the more sweet with the Heartsongs, to a little sharper edged with my hard cover, When the Snow Flies, coming out in August (not CBA, but clean) and then my Revell books starting next year, which are pretty tough with damaged characters and much healing needed in spirit and soul, blood and gore, death and treachery, love both wholesome and otherwise. What else is there? Thank you for your thoughts, Laurie.